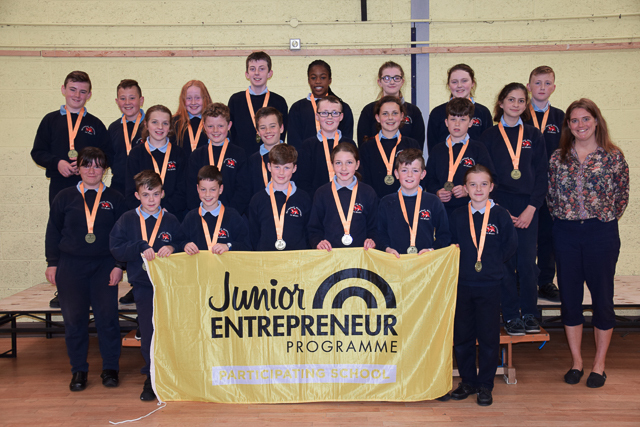 Ms McManus's 5th/6th class have been participating in the Junior Entrepreneur Programme for the past number of months.The programme gives primary school pupils in Ireland the opportunity to experience practical, real-life business learning as part of their formative education. It nurtures creativity, independence and problem-solving among pupils of all abilities. 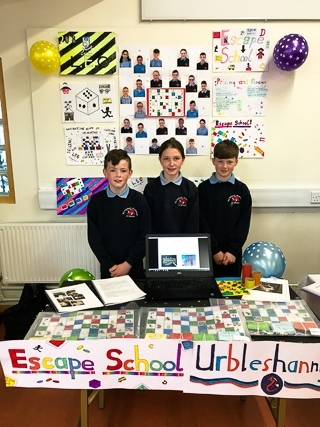 The class, after much consultation, designed a board game called Escape School. 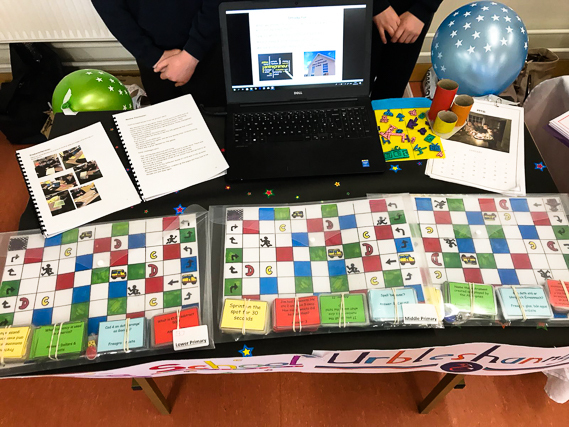 It's a game that involves getting out of school first by progressing round the board by answering a variety of questions and completing challenges. 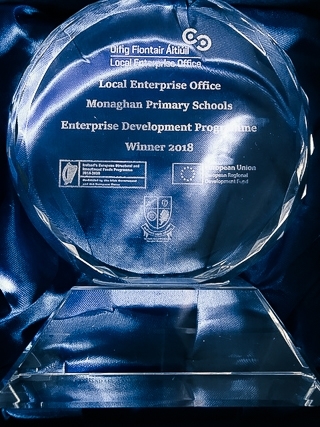 The class were invited along with a number of others schools to present their game at the Monaghan Local Enterprise Student Enterprise Awards held in the Íontas Theatre, Castleblayney on Wednesday, the 13th of June. 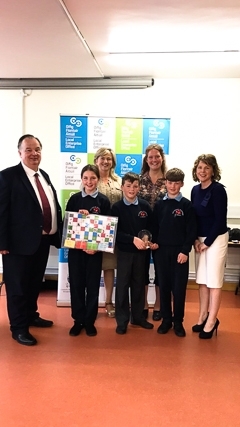 This is the first time the Enterprise Board have held such a competition and against fierce competition, Urbleshanny NS were awarded 1st place. 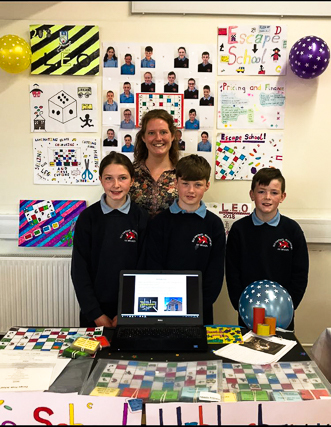 Monday, the 18th of June, saw Ms McManus and her class travel to the RDS, Dublin to the first Junior Entrepreneur Showcase. 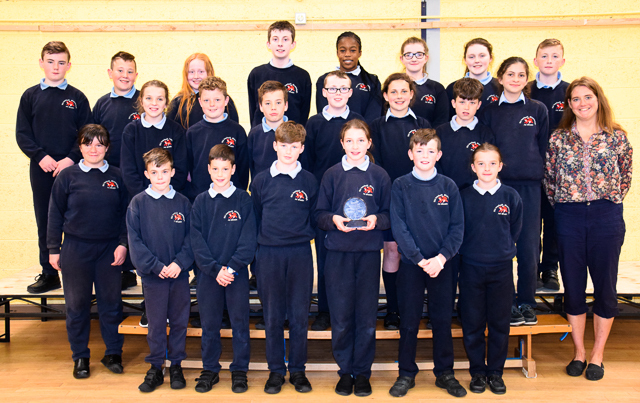 The pupils were awarded medals and a flag for their endeavour.